Here’s a quiz: I am holding a paint brush. I am dipping it in paint. I am applying the paint to the surface so as to manifest a two dimensional picture of an image that is held as an ideal in my imagination. What am I doing? Wrong. It’s writing. Or at least it is according to some people, if the object you are working on is a holy icon. So, for example, they might say that St Luke not only wrote inspired scripture, he also wrote an icon of Our Lady and Our Lord! But is this right? Is painting really an activity inherently distinct from and inferior to writing, as the insistence on the use of the word write would seem to suggest? Also, why pick out a verb that relates to one particular aspect of Christ every single time, i.e. the Word? We say also that Christ is the “image of the invisible God” (Colossians 1, 15), so why not make this aspect govern the use of verbs in reference to creating holy images? 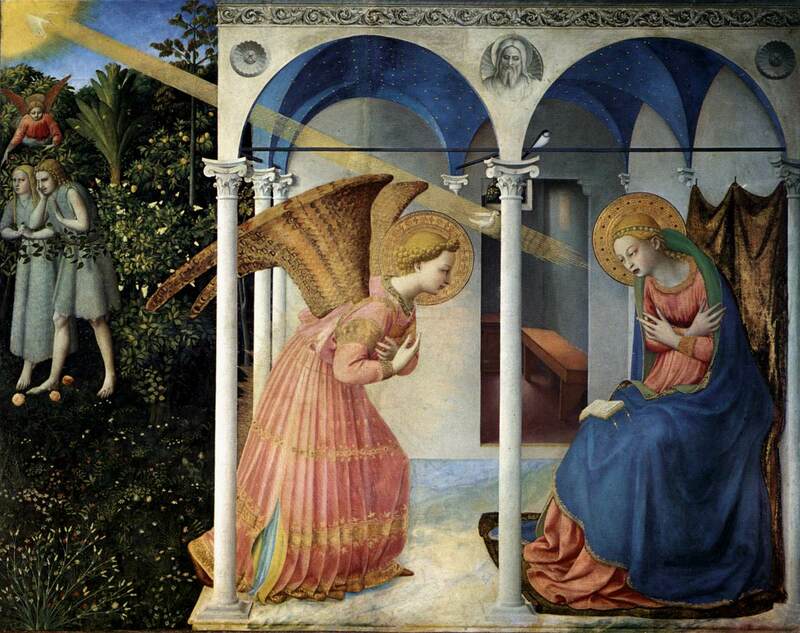 If Christ is an image, then it seems that references to the “painting” of an image are reasonable. After all, this is part of the justification for creating images worthy of veneration, according to the Seventh Ecumenical Council. And if we really do have to only think of Christ as the Word, then (reductio ad absurdum) why not be consistent and rather than talking of Our Lady giving birth to Our Lord, why not say she “wrote” the Word made flesh? Furthermore, why not use the principle of hierarchical vocabulary when we are talking as writing as well: writing - stringing words together to make sentences and paragraphs. We might say that the writer St Luke wrote his gospel, but hack David Clayton only hacked this blog piece together, for example. To my knowledge it is only in the English language, and only since the 20th century, that people have referred to the writing of icons in this particular way. It is true that in Greek and (I discovered recently) Russian, that the verb used for “painting” a picture is the same word for “writing.” However, the same word is used for the painting of all pictures: not just icons, but landscapes, portraits, and so on. The verb “to paint” which does exist in Russian is used for a lesser form of painting, as in the painting of houses and fences. 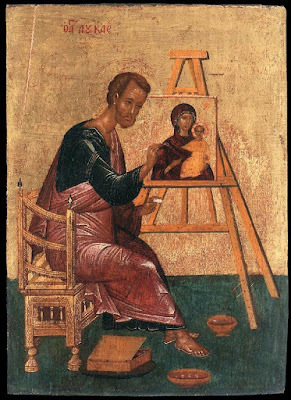 To be consistent, we should extend the use of the word “write” beyond just icons, or stop using it for paintings altogether and be happy with saying that just as Fra Anglico painted, so did St Luke. Also, contrary to what some Catholic believe, it is not the case that all icon painters or Eastern Christians use the word “write” for what they do. My own teacher, who is Orthodox, always used to say that he thought that the use of the word “write” was “a bit precious”. This did not mean that he didn’t think that the painting of icons wasn't a noble activity. 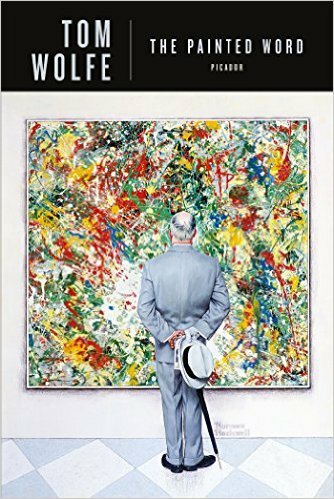 In 1975, Tom Wolfe, author of The Bonfire of the Vanities, wrote a brilliant essay about the absurdities of modern art called The Painted Word. He pointed out that the whole art scene is a business driven by gallery-art, in which the sellers manipulate the market by appealing to the vanity of buyers and intellectuals. They flatter them into thinking they must be very clever to understand the nonsensical art theory that was used to justify the art they were looking at, and which mystifies all clear thinking people who have no pretenstions of being aesthetes. The title The Painted Word arose from the fact that flattering clients became so important to sales that the ideas behind the theory were considered more important than physical manifestations of them, the art itself. To be an aficionado of modern art is to be clever because you understand it, not necessarily because you like it. The artists, faithfully following the theorists in order to sell their work at inflated prices, gradually moved into greater and great abstraction, trying to show the pure non-physical idea through a physical medium. They struggled to do so because the ideas weren’t really coherent. In the end, the connection between art and ethos was so obscure that they had to write a long explanation to accompany their exhibits in order for anyone to understand what was going on. The natural extension of this, Wolfe points out, is to abandon conventional art altogether and just paint the words that represent the idea. This is indeed what happened to modern art, which became a high stakes game of painted word association. Wolfe’s description of the inadequacies of modern art highlight by contrast the richness of traditional sacred art. Because the ethos of Christian sacred art is rooted in truth, we can manifest those ideas well. We there have not only have writers who write the Word in words, we also have painters who paint the Word made flesh as an image, and can even do so in such a way, so the Catechism tells us, that they are able to communicate things that words alone cannot. 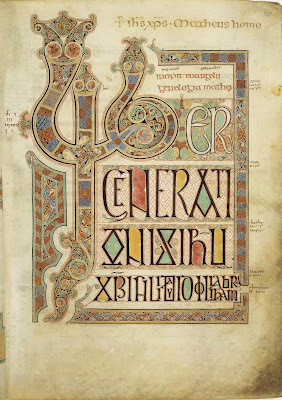 Furthermore, the Christian tradition also has those who paint words beautifully when they write the Word - they are called calligraphers! 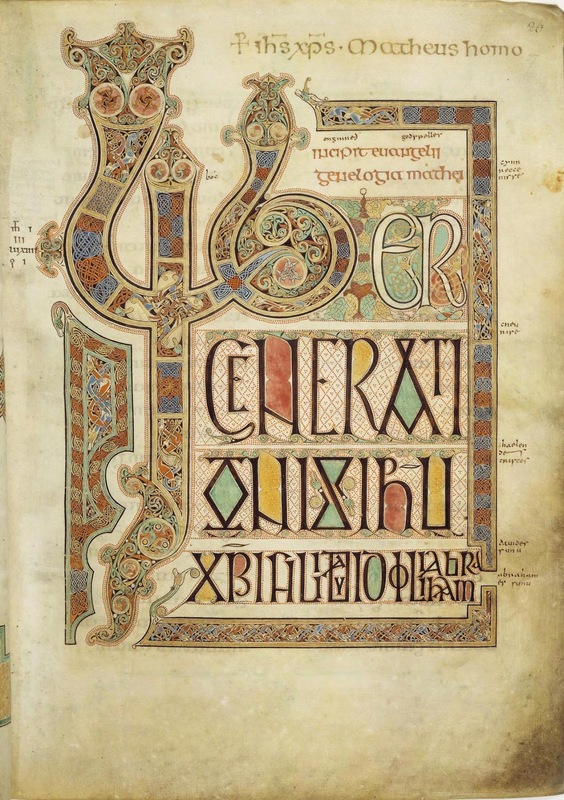 The creator of the Lindisfarne gospel, shown below, was simultaneously a painter of words, and writer of the Word. Where do I stand on this issue? Personally, I am less worried about what you call the activity of painting/writing icons than I am about how well it is done. To insist on the use of the word “write” in a way that is not common practice in the English language feels to me like a bit of unnecessary faux-theological political correctness. I don’t mind if others do it, but I feel no need moved to do it myself. I think that it is much simpler to use the words with their common meanings, so that people understand what you are talking about. As far as I am concerned, the word “paint” describes more than adequately what the sacred artist does, and the word “write” describes what I am doing now at the keyboard of my computer. We don’t need to play word games in order to raise the status of the artist’s vocation. Ultimately, it is artists themselves who will do that by raising the quality of the art that they paint...just as the nobility of the bloggers’ vocation will be judged on the quality of their writing.